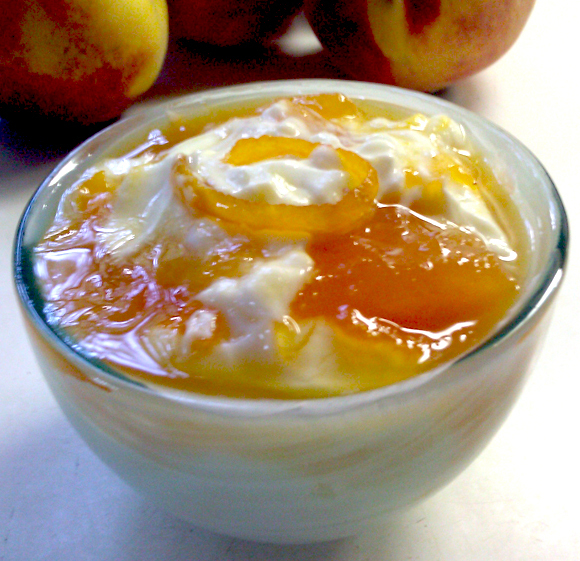 Use Peach-Orange Marmalade or Blueberry Jam swirled into thick Greek yogurt for a yummy and quick morning breakfast. 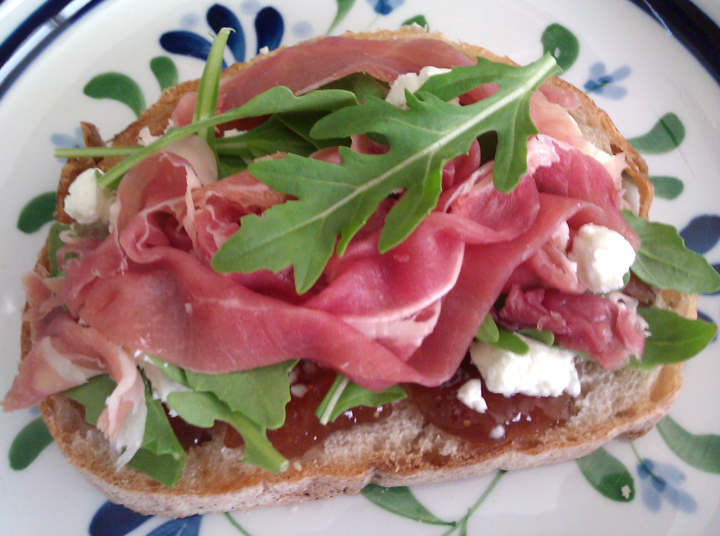 Make a Tartine using Drunken Fig Jam, prosciutto, goat cheese, and arugula for a quick lunch or dinner. Or, use the same combo as a small bite on thinly sliced baguette for an appetizing bruschetta, eliminating the prosciutto if you don’t eat meat. 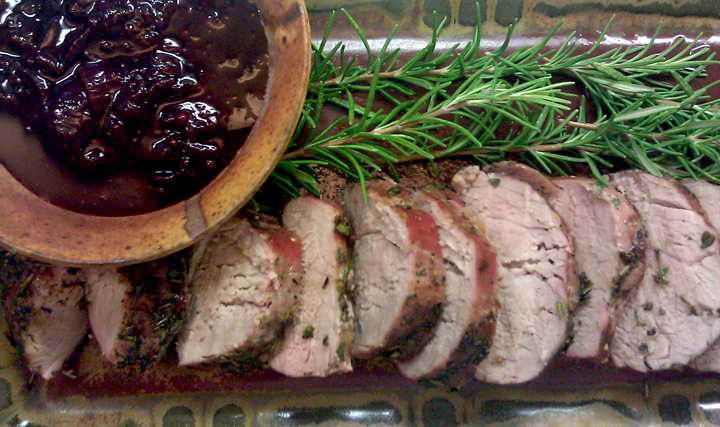 Try Cinnamon Plum Chutney alongside an herbed and grilled pork tenderloin. It would also be outstanding on roast turkey during the holidays and definitely has a festive flavor. for a quick and easy appetizer. • Fig jam is an excellent addition to a cheese plate. • You can “melt” jam over, or serve alongside, your favorite roast pork or chicken dish. jam in a thumbprint shortbread cookie. • Use fig or peach jam or marmalade between the layers of a spice cake. the peach-orange marmalade, then cut them into fingers. • Use peach-orange marmalade or jam as a glaze for hot chicken wings. • Dress up a cheesecake by topping it with blueberry jam or peach-orange marmalade. • Swirl jams into ice cream or drizzle a little on top. • Spoon jam on top of French toast, pancakes or waffles. • Use jam to fill homemade jelly doughnuts. • Spread peach, raspberry, strawberry, or blueberry jam, or the peach-orange marmalade on the bottom of your favorite sweet tart crust, top with mixed fresh berries and fruits, and glaze the fruit with a bit more jam to make a fabulous fresh fruit tart. • Mix some peach-orange marmalade into your favorite barbeque sauce. • Use jam instead of jelly in a jelly roll. • Add some jam to your favorite trifle recipe. And last but not least, make yourself a nice, fat, PB&J! If you’ve got any more great food ideas for using up jam, please share. This entry was posted in Food and tagged Blueberry Jam, bread pudding, Drunken Fig Jam, grilled pork tenderloin, hot chicken wings, orange marmalade, Peach and Orange Marmalade, picnic, Plum Chutney, Uses for Jam by bitsandbreadcrumbs. Bookmark the permalink. I have been reading and enjoying your blog. I wanted to let you know how hard or I guess I should say hot and time consuming making all of those jams was. They are really beautiful and your tips were very imaginative. Karen, thank you so much for your very kind words, and it makes me happy to hear that you are enjoying my blog. It WAS a long first effort making all that jam, but fun—and fortunately there were two of us to do the work—and we had air-conditioning, thank goodness! I’m now a jam eating and jam making convert. We’re goin’ to be Jammin’ all the way to Christmas! Fantastic! Betsy. Thank you for the heads up on the Drunken Fig recipe which I will be posting today. I have enough figs for 6 half pint jars, the rest goes to the birds. My only preserve history is when I was pregnant 37 years ago, I got a jones to make apple-mint jelly. It took hours, because I did not boil it long enough, I had to pour all the liquid back into the pan and re-boil!